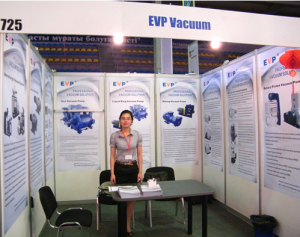 newsview-258-22-EVP_attends_MinTek_2012_in_Kazakhstan_on_27th_29th_June_2012.html- Vacuum Pump - EVP Vacuum Solution! Duration Time: MinTek-2012 in Kazakhstan on 27th-29th,June. The Annual International Exhibition Mining Week Kazakhstan has become one of the significant events of Karaganda city in the business life of many domestic and foreign companies. Basically the economy of the Karaganda region is ferrous and non-ferrous metallurgy, mining and engineering.